The third in my Zodiac series. 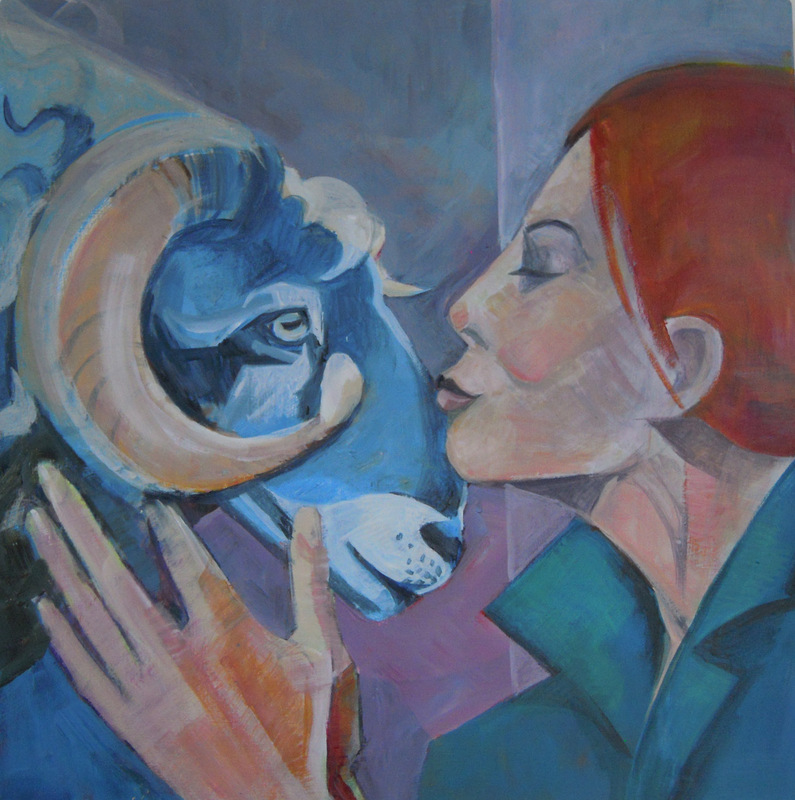 Aries are independent leaders and shamelessly flirty. …….I think I know one or two of those. Acrylic on wood 30 x 30cm. On 20th & 21st October I will be on stand 61 at the Landmark Centre in Teddington for their Autumn Art Fair. My three new Zodiac paintings will be there and if you would like a zodiac picture for a special person’s christmas present, come and talk to me or contact me through my website http://www.angelabrittain.co.uk.